Wedding PR: Bridal Buyer, Every Last Detail, Timeline Genius, and More! We have a great roundup of client features this week, including Bridal Buyer, Every Last Detail, Timeline Genius, and so much more! Keep scrolling below to check it all out. 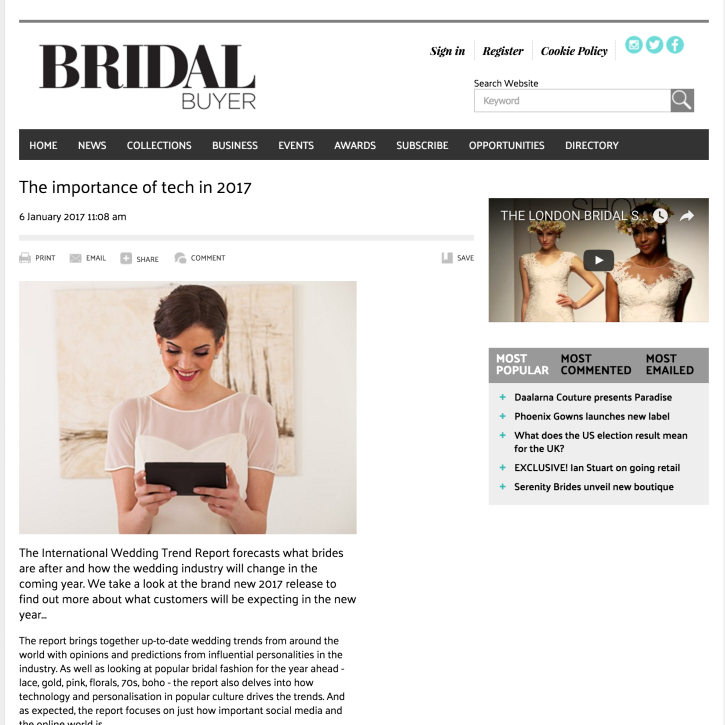 Wedding Academy Live and LadyMarry were featured on Bridal Buyer, with their article, The Importance of Tech in 2017. See the full article here. Kaysha Weiner Photography was featured on Every Last Detail with the real wedding, Purple and Green California Wedding. See the full feature here. OFD Consulting, Cocoon Events Management Group, Belladeux Event Design, Fantasy Sound Event Services, Destination Weddings, and Nahid’s Global Events were featured on Timeline Genius with their feature, 2017 Wedding Trend Forecast. See the full feature here. Kylie Carlson, Stephanie Yonce, Don Mears, Rochelle Cheever, and LadyMarry were featured on The Big Fat Indian Wedding with their feature, Luxury Wedding Trends for 2017. See the full feature here. Wedding Academy Live was featured on Burnett’s Boards with their feature, 2017 International Wedding Report. See the full feature here. OFD Consulting was featured on Catersource with their guest blog, Recovering from a Social Media Crisis. See the full article here. Taylor’d Events Group was featured on Catersource with their guest blog, How (and Why) to Take Personal Feelings Out of Client Spending. See the full article here. Cescaphe Event Group was featured on the New York Times with their article, The Pay-It-Forward Wedding: When ‘I Do’ Becomes ‘I Do More. See the full article here.